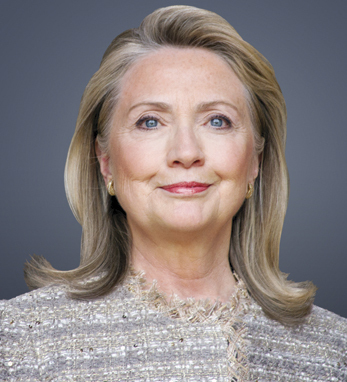 Hillary Rodham Clinton has served as the Secretary of State for the U.S. and was previously elected as a two-term Senator for New York State. She also served First Lady of the United States, and First Lady of Arkansas. During her tenure as First Lady, Clinton was highly dedicated to behind-the-scenes work on the peace process in Northern Ireland, creating links between the White House and leaders on the ground. Her visits to the Falls and Shankill Roads in Belfast to meet working-class women from both communities helped empower key women at a time in the conflict when women’s voices were hardly heard. She played a major role in setting the groundwork for the formation of cross-community parties such as the Women’s Coalition in the vital years when the peace process was being bedded down prior to the 1998 Good Friday Agreement. As Secretary of State Hillary Rodham Clinton ensured Ireland was high on the U.S. foreign policy priority list, and her last trip as Secretary of State in 2012 included a strong address to party leaders from all sides in Belfast where she pledged to continue her work for peace in Ireland in whatever her capacity. Born in Chicago, Clinton earned her B.A. from Wellesley College and her Juris Doctor from Yale Law School. She and her husband Bill have one daughter, Chelsea, and a granddaughter, Charlotte Clinton Mezvinsky.